Despite being heralded in some quarters as a watershed moment in the stand-off between Tehran and the West, the latest IAEA report, presented in Vienna this week, is not the “smoking gun” widely seen as necessary to trigger military strikes on Iran. As the executive director of the British American Security Information Council, Paul Ingram, put it “I do not think this report is likely to be a game changer”. Whilst much of the report is historical and offers no actual evidence of a weaponisation programme, the Western media has been filled with speculation that, with the help of a Russian scientist, Iran may now have the technical means to build a nuclear weapon. However, the report confirms that the IAEA “continues to verify the non-diversion of declared nuclear material at the nuclear facilities and LOFs [locations outside facilities] declared by Iran under its Safeguards Agreement” and suggests that weaponisation studies have been downgraded since 2004 from building and testing components to largely computer modelling, the allegation that Iran may have computer models of a nuclear warhead has done little to allay fears. Indeed it is the inflexibility of these different viewpoints, combined with a lack of trust, that presents the greatest challenge to resolving the ongoing stand-off. On coming into office President Obama showed a willingness to engage in direct negotiations with Tehran without preconditions. In his public message to Iranians he publicly acknowledged their country’s right to enrich uranium and, in October 2009, he held direct talks with the Iranians in Geneva. Commenting on these talks at the time, the Financial Times noted that Obama “got more out of Iran in eight hours than his predecessor’s muscular posturing did in eight years”. But Geneva was to prove a high-water mark in good US-Iranian relations. In the intervening years Iran has accelerated its enrichment activities and Obama has long since withdrawn his “hand of friendship”. At the Geneva talks, a proposed agreement devised by the US would have seen Iran exchange most of its current stockpile of low-enriched uranium (LEU) for fuel rods from Russia and France. This “fuel-for-fuel” swap was largely accepted by President Ahmadinejad but he proposed that the IAEA assume control of the LEU in Iran until the fuel rods were delivered. The Americans rejected this proposal. The following year Brazil and Turkey negotiated a deal with the Islamic Republic where the LEU would be taken to a neutral country. The deal was almost identical to one put forward by the US in Geneva but rather than welcoming it Washington responded with scepticism and imposed new sanctions on Iran. This September, whilst attending the UN General Assembly meeting in New York, President Ahmadinejad hinted that he would be willing revive the fuel swap deal, saying that Tehran would stop producing 20-percent-enriched uranium if it was guaranteed fuel for a medical research reactor. Whether or not this was a serious offer or mere political brinkmanship we will never know as the offer was never followed up. Last June, IAEA chief Yukiya Amano released a statement announcing he had “received further information related to possible past or current undisclosed nuclear-related activities that seem to point to the existence of possible military dimensions to Iran’s nuclear program”. Later that same month, Tehran announced that it would shift its production of higher grade uranium to an underground bunker and triple its production capacity. In the meantime, the US has reinforced its military force in the Gulf, carrying out large-scale naval manoeuvres in the Atlantic with the British and French, and allowing Israel to use NATO bases for exercises. NATO’s missile defence system has been deployed across the region and reports suggest the US has also shipped hundreds of ‘bunker-buster’ bombs to military bases on the island of Diego Garcia and supplied 55 of the bombs to Israel. On Monday, in response to the heightening tensions, Sergei Lavrov and Yang Jiechi, the Russian and Chinese foreign ministers both expressed concern about any Western military strike on the Islamic Republic. French Foreign Minister Alain Juppe warned of “irreparable damage” an attack would cause. In Iran itself, the ratcheting up of tensions is having a negative impact on the beleaguered Green Movement. Since the 2009 elections the democratic issue had taken priority over the nuclear issue for many ordinary Iranians but there is nevertheless huge popular support for Iran’s civil nuclear programme. Nuclear fuel production is regarded as a sovereign right and a source of great national pride and many Iranians believe that Western allegations of a weaponisation programs are being used for political purposes. “The current threat of a military attack on Iran is a huge blow and setback to the cause of democracy in Iran” says Dr Nader Hashemi, assistant professor of Middle East and Islamic Politics at the University of Denver. “It strengthens the Iranian regime and makes the work of democracy and human rights activists more difficult.” This week, Dr Hashemi was one of many pro-democracy supporters to add his signature to a currently-circulated statement drafted by one of Iran’s leading dissidents, Akbar Ganji, that strongly condemns military threats against Iran. The Green Movement is in abeyance at the moment with its leaders Mehdi Karoubi, Mir-Hossein Mousavi and Zahra Rahnavard under house arrest and leading activists and intellectuals imprisoned or forced to flee abroad. But discontent remains widespread and support on a societal level for democracy remains strong. “The Green Movement is waiting for another opportunity to reassert itself” says Hashemi. “This opportunity may arise during the March 2012 parliamentary elections”. Elections are also looming in America and, with the US economy in disarray, Obama will not be keen to get involved in another bloody and unpopular war in the Middle East. However, he may well be coming under increasing pressure to take a harder line against Iran, not just from Congress but from within his own party. Like the conservative Iranian leadership, neo-conservatives and policymakers in Washington are concerned about the unprecedented rise of people power sweeping the Middle East and the resulting loss of strategic influence. With US troops due to withdraw from Iraq at the end of this year, the State Department is deeply worried about the possibility of Iran extending its sphere of influence there. Assessing the state of Iran’s nuclear enrichment program at a meeting in Parliament last year, Saba Sadeq, head of the BBC’s Persia service, argued that “both sides are exaggerating Iran’s nuclear capacity for their own motives.” Indeed, whilst few would accuse the IAEA’s detailed technical report of exaggeration it nonetheless leaves many questions unanswered. Hawks will claim the report adds to the weight of suspicion that Iran is engaged in a weaponisation programme. Doves will counter that no actual evidence has been produced to show Iran had diverted from its peaceful enrichment programme. The report will evidently be used to try and push through a fifth round of international sanctions, pushing the opposing sides in the stalemate further away from the negotiation table; the very last thing, needless to say, of what the world needs. Former Israeli defense minister, Binyamin Ben-Eliezer, told fellow Labour Party members: “Every citizen in the country has to be worried that these two fools, Netanyahu and Barak, are planning an attack on Iran,” quoted by Jewish daily Forward on November 8, 2011. Benji Netanyahu has claimed that the latest IAEA reoprt proves he was right about Iran’s intention to produce a nuclear bomb – and French President Nicolas Sarkozy was wrong calling him a liar. 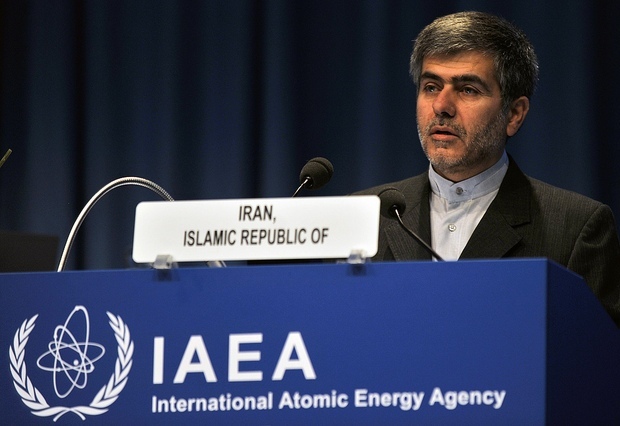 Benji’s ‘smoking gun’, the latest IAEA report, itself claims that all its allegations against Islamic Republic are not based on its staff findings but on informations provided by various foreign government agencies. Interestingly, the said report also targets another of Israel’s enemy, Pakistan without mentioning Israeli and India’s illegal nuclear stockpiles. A case of Zionists killing two birds with one stone! Last week, Israeli President Shimon Peres had said that a military attack against Iran is growing increasingly by the days. On Tuesday, Israeli defense miniter, Ehud Barak, backed-down from an immediate military attack on Iranian nuclear facilities, “War is not a picnic. We want a picnic. We don’t want a war,” Barak told Israel Radio. Yossi Alpher, former director of Jeffee Center for Strategic Studies at Tel Aviv University wrote in daily Forward (November 9, 2011) that Israeli threats of a pre-emptive strike against Iran’s nuclear infrastructure are not going to happen in the near future. It reflects an Israeli attempt to generate strong international sanctions against Iran. “Right now, though, hype, pressure and deterrence appear to be name of the game,” wrote Yossi. According to well-respected Israeli journalist Nahum Barnea, the entire Israeli security-intelligence establishment, some senior cabinet members and foreign ZOGs leaders have advised Benji and Barack not to carry out their suicidal military attack against Iran – at least for the time being. Nahum has claimed in his recent column in Yediot Aharonot that Gen. Benny Gants, head of IOF; Gen. Aviv Cochavi, head of IOF intelligence; Mossad director Tamir Pardo and Shin Bet head Yoram Cohen, are all against Israeli strike against Iran without an active participation of US forces on Israeli side. The former Mossad director, Gen. Meir Dagan, reportedly called Netanyahu-Barak’s promoting a military adventure against Iran, as “the stupidest idea I have ever heard“. So what is holding back these Zionist evildoers? Because they fear the Israeli attack could become the end of Israel – Tens of thousands of missiles and rockets from Iran, Hizbullah, Syria and Hamas falling all over Israel; a regional war that could last for years; attacks on Israeli targets abroad; world-wide rage against the Zionist entity, already isolated from most of the world nations and creating a unified Arab support for Iran against Israel. The predictions that the Islamic Republic will soon acquire a nuclear bomb have been parroted for the last 30 years. During that period western ZOGs and press have claimed repeatedly that Islamic Republic is about to join the nuclear club. Such a result is always declared “unacceptable” and a possible reason for military action, with “all options on the table” to prevent upsetting the Muslim East strategic balance dominated by the USrael. Since Yukiya Amano took over as head of IAEA, the agency’s reports has always reflected US-Israel agenda. Why? Because, according to US embassy cables, published by Guardian on December 2, 2010, proves that Amano is an American agent.